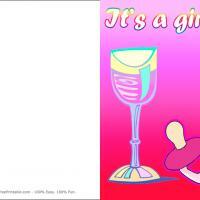 The pink trolley in this card means a baby girl! 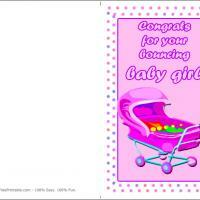 These printable baby cards are ideal for the new parents of a little girl, complete with its pink stroller on a pink background and surrounded by pastel dots. 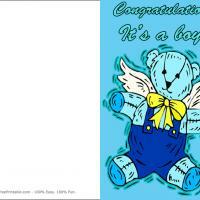 There is also plenty of room to add more graphics and of course a great message. 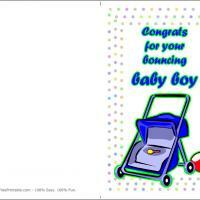 Print and send this card to the new parents and give some wishes for the future of the baby. 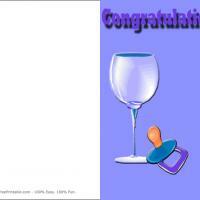 A baby girl is an exciting event, so take part in the festivities no matter where you live with this sweet little card.